Take a bite of summer! Super sweet and slightly tart, nectarines are delicious alone or in baking recipes. Smooth and glossy skin with deep red and yellow coloured flesh. Super sweet and juicy flavour but can be tart if under ripe. Yellow flesh with medium sized pit in the middle. 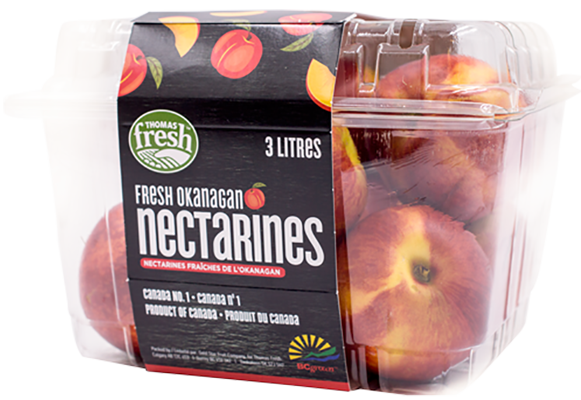 Nectarines are an exquisitely sweet treat! They work well in smoothies, yogurt parfaits, tarts, cobblers and pies. 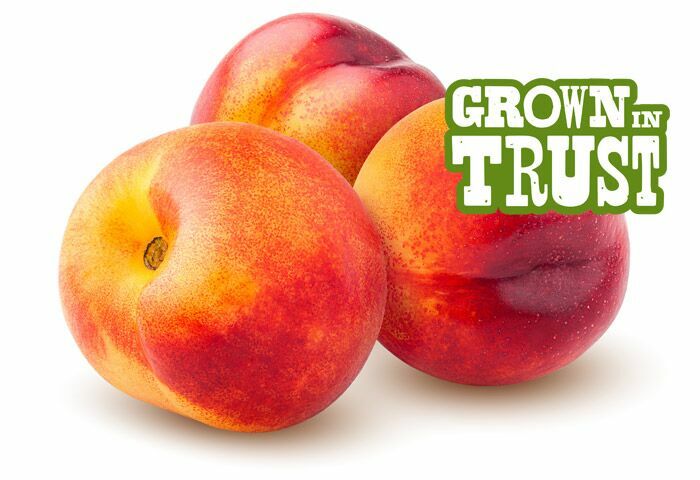 Genetically, peaches and nectarines are identical species and can even grow on the same tree! In nectarines the "fuzz gene" is actually recessive, making them smooth instead!